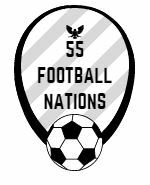 55 Football Nations is not just about watching football. It’s about meeting and talking to those involved in the game. A colleague’s brother put me in touch with Toni Kallio, the Ilves coach, capped 49 times for Finland. We couldn’t both fit in my hostel room so we met at Toni’s place ahead of his game against hosts IFK Mariehamn. Toni had a varied playing career that included an impressive 47 goals (many from more attacking positions than his later defensive days) and spells in Norway, Switzerland and England, with my own team, Fulham, and on loan to Sheffield United. He talked affectionately about his time in England working with Roy Hodgson (“My one regret from my playing career is that I didn’t stay in England”), less so about his short time in Thailand with Muangthong United (“I got injured and they didn’t pay me!”). Toni returned to play in Finland and is now working with Jarrko Wiss, the former Stockport County player, at Ilves. He seemed quietly confident before the game. 55FN also spoke to both the director and manager of IFK Mariehamn. Perhaps, with a Champions League match to follow against Legia Warsaw, they were a little more nervous. Mariehamn needed a late equalizer to take a point from the game.